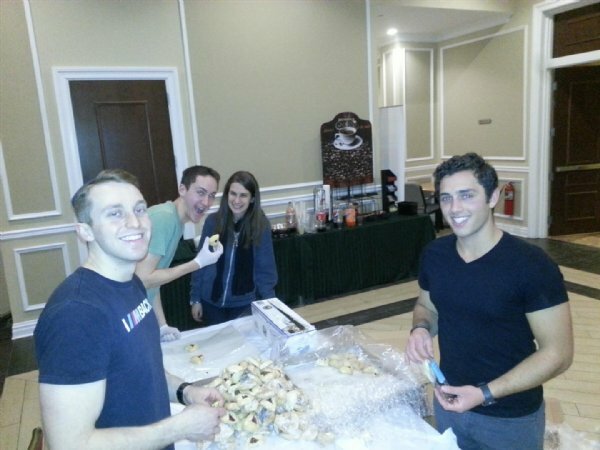 Indeed, the helpers who made this project possible are not just honoring the Jewish values of charity and kindness, but also observing an ancient tradition associated with the holiday of Purim. A brief summary of the holiday’s story relates a dramatic turn of events involving Esther, an orphaned Jewish girl who lived with her cousin, Mordechai, and who despite all odds married King Xerxes of Persia. When the king’s advisor Haman developed ambitions to exterminate the Jewish population, both Esther’s piety and Mordechai’s integrity are able to prevent such a catastrophe. “Purim is a celebration, it’s a tradition,” explained Hilary, a local volunteer, as she wrapped up another package, “It’s celebrating Judaism and It’s celebrating life.” Today, the Jewish people continue to honor the story of Purim during the Juwish month of Adar. There are four Mitzva’s (obligations), incorporated into this holidays agenda. This Tuesday the Chabad House was preparing to observe michloach menot, or literally “sending of portions.” According to this Mitzva, Jews are called upon to send gifts of food to friends and the poor. The volunteers at Rutgers have extended this to a campus wide scale. After all, who should go hungry or be left out during a time of rejoicing? Inside each package are four types of items: a Hamentash, two candies, two nickels, and a relevant poem. The Hamentash, or triangular shaped cookie with a sweet filling, resembles the evil Haman, who customarily is depicted wearing a triangular hat. The desert’s sweetness is supposed to reflect the sweetness of G-d, protecting the Jewish people. 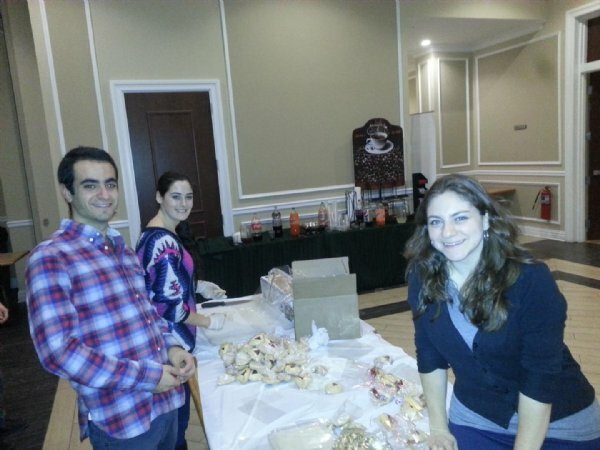 Next, since traditionally two meals are supposed to be given out by anyone of age, there are also candies to conclude the food packages that Jewish people are called on to distribute. Following this, the nickels are included to remind one of the importance of donating to the poor on this special day. Lastly, the relevant poem explains the four Purim mitzvahs and the importance of unity among a people or nation. The other three mitzvahs of Purim also reflect the importance of community embedded into the Purim tradition. Besides michloach menot, the Jewish listen to two readings of the Megillah, or Book of Esther. Once in the evening and once during the next day. 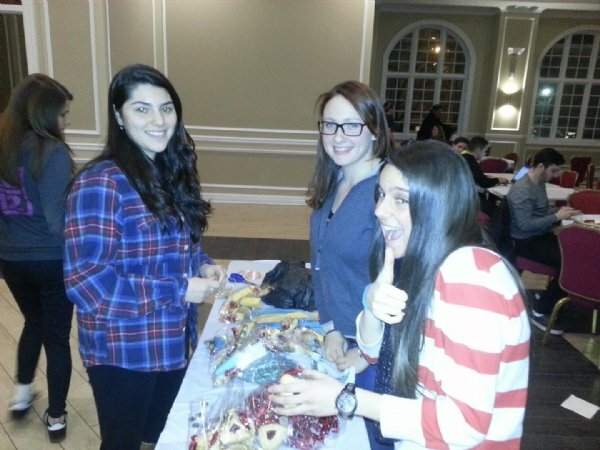 They are also asked to participate in a festive Purim meal, as well as to donate money to at least two poor people. Undeniably, it is not uncommon at this time for members of the Jewish faith to give money or necessary items to the unfortunate. The Chabad House is no exception. So what overall message do the volunteers aim to send? Ben Hutt, a participant and Chabad Dorm RA, answered this as he added another package to the already teeming pile, “I hope that everyone who receives one of these packages, feels a sense of connection and importance.” Certainly, Purim symbolizes the importance of togetherness as friends, as family, and as a people. Esther’s story also teaches that even in desperate times, goodness can still overcome. One interesting point about the Megillah is that G-d is not explicitly mentioned even once within the actual text. It is the only book within the Hebrew Scriptures to have this unique trait. It therefore sends a very special message to the Jewish population. Even if we cannot see G-d working directly in our lives, it’s important to remember that He is still present and has a plan for his creation. 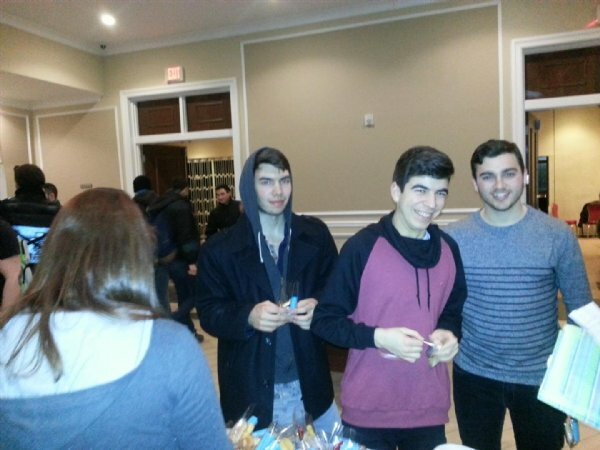 At the Chabad House this past Tuesday night, this sense of unity and hope embedded into Purim, surely was present.